Original vintage recipe: Boil a firm white cabbage fifteen minutes; change the water, and continue boiling until tender, then strain and set aside until perfectly cold; then chop fine and add two beaten eggs, a tablespoonful of butter, three tablespoons full of rich milk or cream, a little pepper and salt; stir all well together, and bake in a buttered pudding-dish until brown. This dish is digestible and palatable, much resembling cauliflower. While cabbage is cooking, bring a large tea kettle of water to a boil. 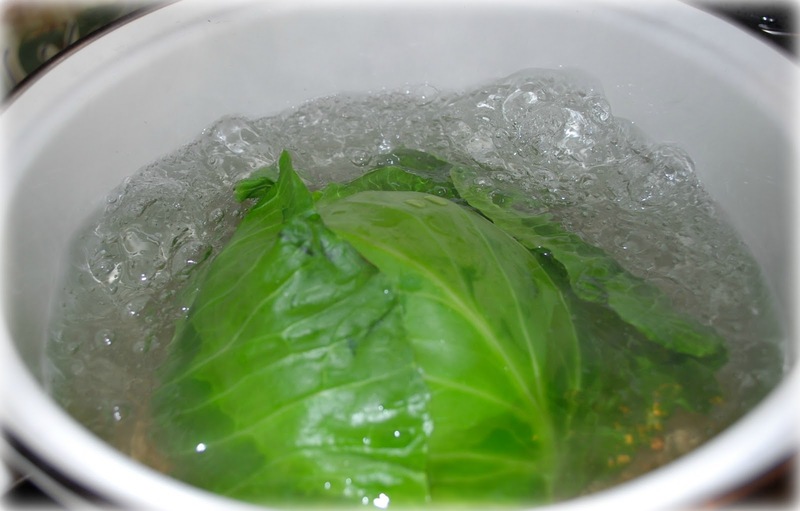 Remove cabbage from boiling water and empty water from the pot. Place pot back on the stove and add boiling water to the pan. Place cabbage into fresh boiling water and cook another 15 minutes or until tender. Drain in a colander and place in the refrigerator to cool. 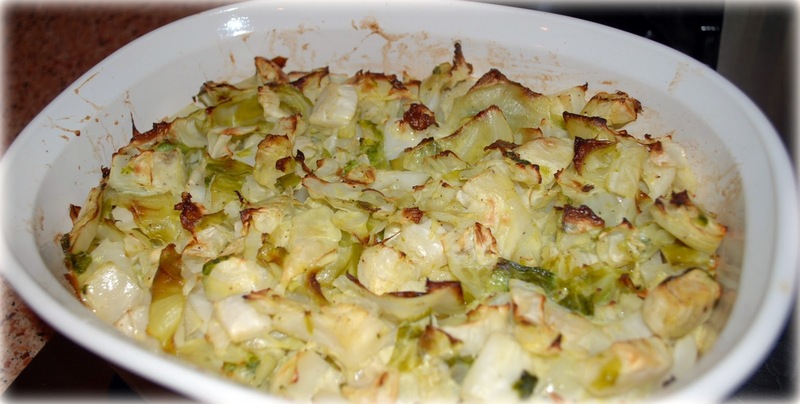 Slice cabbage and place into a large bowl. Add beaten eggs, butter (melted), cream or milk (I used whole milk) and salt and pepper. Pour into a buttered casserole dish (I used butter flavored Pam). Bake in a 350 degree oven for 30-40 minutes until lightly browned on top. Thanks for sharing this vintage recipe, Amee. 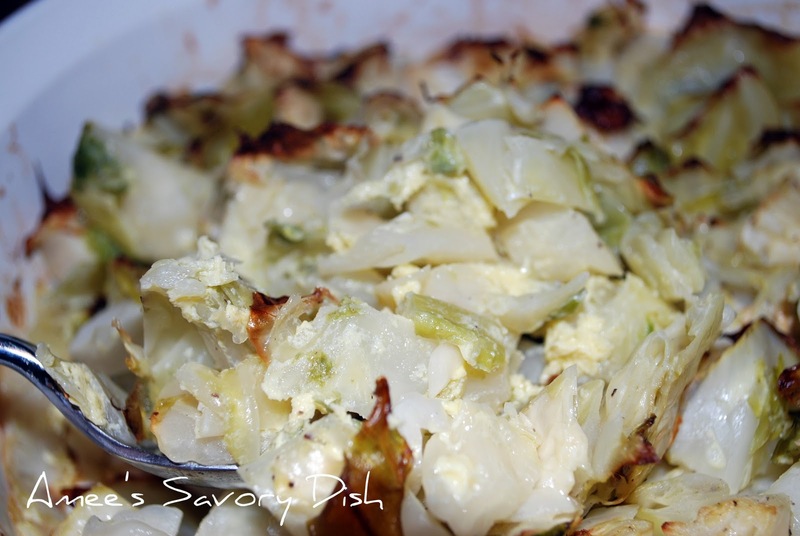 I hope you don’t mind that I’m including this link in a post I’m doing tomorrow (2.17.16) for World Cabbage Day!